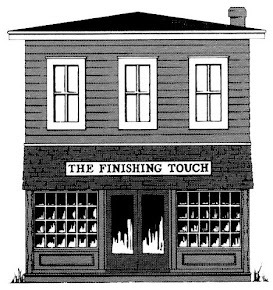 How do we know we are rushing toward the Holiday Season? 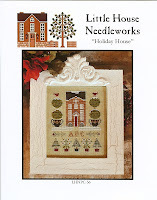 Today we received not one, but six, great Christmas designs. 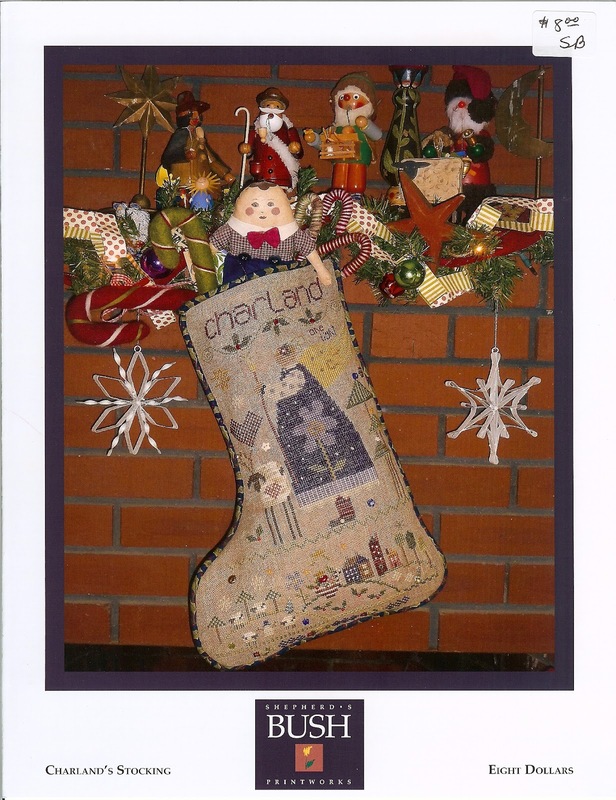 Shepherd's Bush annual Christmas stocking, CHARLAND'S STOCKING, is sure to be a favorite. 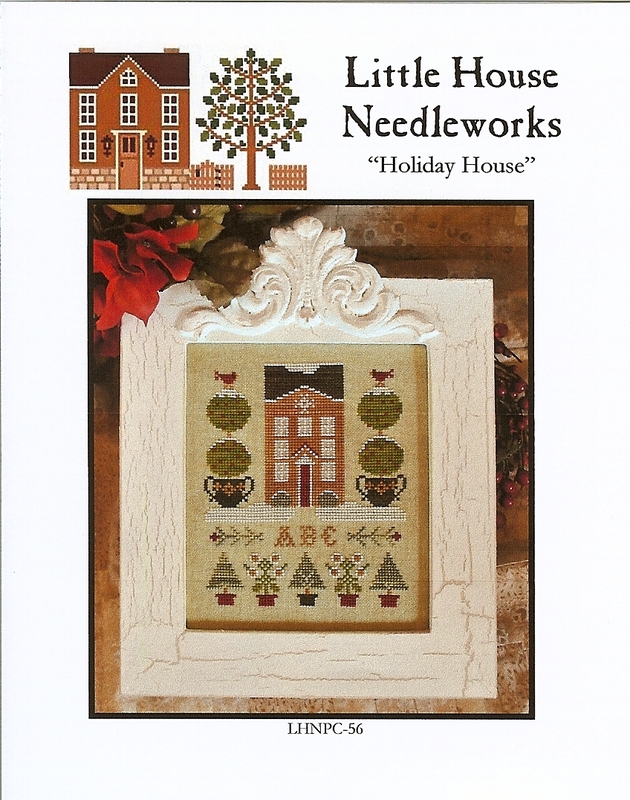 Not only is it dedicated to one of the needlework industry favorites, but also embodies the usual simplicity and grace of designs by Tina Richards Herman. 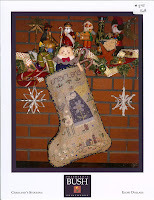 Check out the beautiful colors and charms on this stocking. 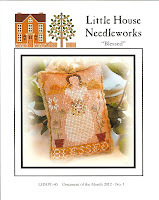 We have the charms and perle cotton - regular and hand-dyed. 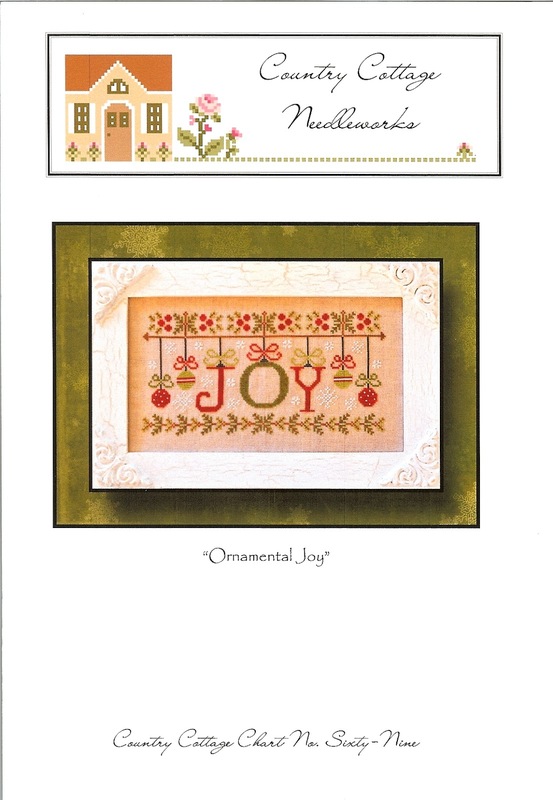 ORNAMENTAL JOY is a traditional red and green Christmas combo which will make you smile. The round ornaments remind you of days gone by and the snowflakes finish the feeling of cozy holiday times. 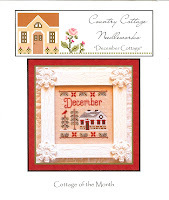 Also from Country Cottage is the latest in the Monthly Cottage Collection. 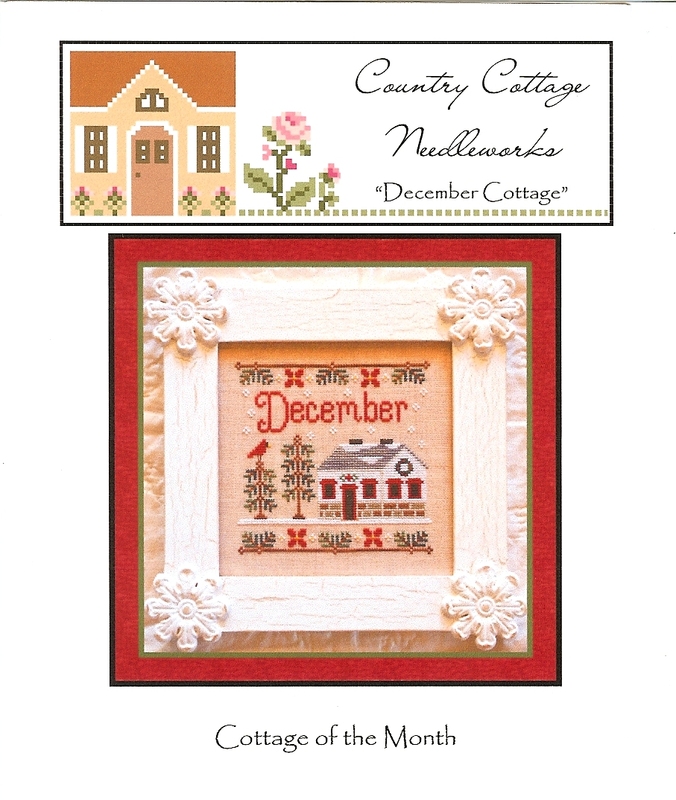 The DECEMBER COTTAGE is decorated for the season and guarded by a very red cardinal. 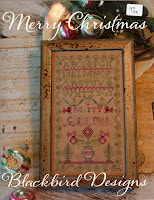 Blackbird Designs produce gorgeous samplers and MERRY CHRISTMAS is the latest addition. 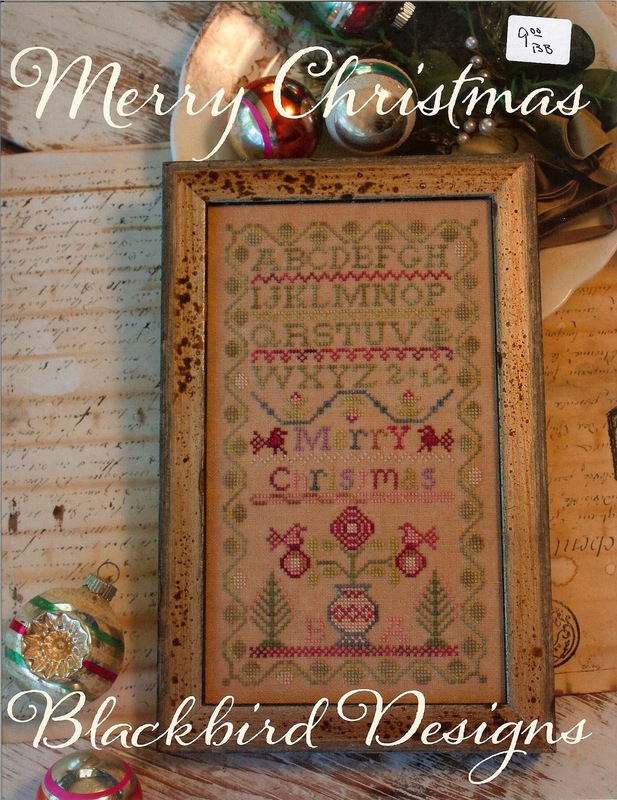 This beautiful sampler could be displayed and enjoyed all year. GINGERBREAD COOKIE is the newest Little House Needleworks ornament for 2012. 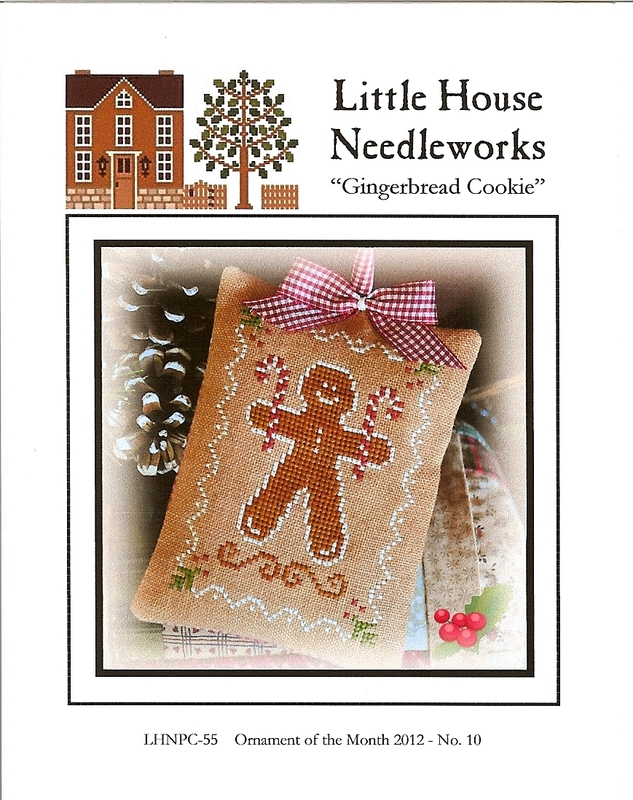 This happy little gingerbread cookie would be a great gift for a friend of any age or be a wonderful addition to your own tree. 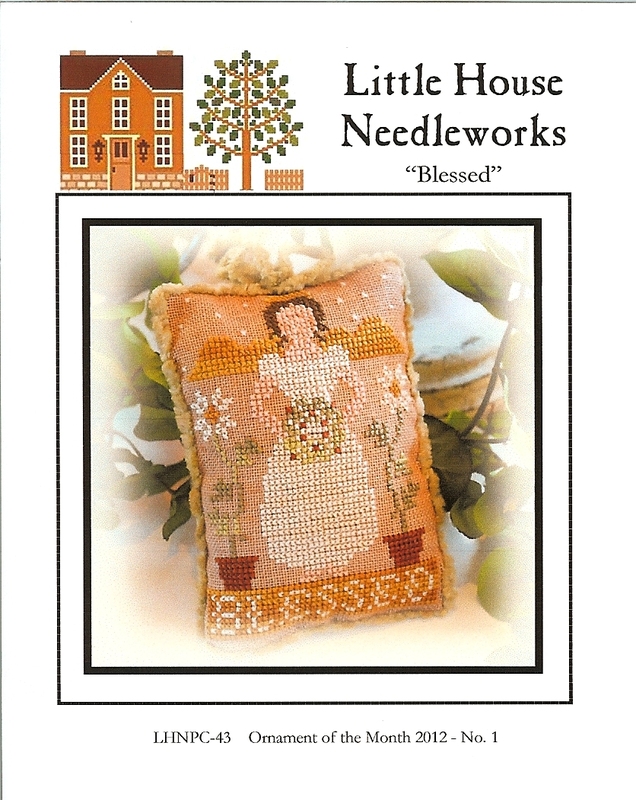 We also have a Little House BLESSED ornament showing a sweet angel surrounded by flowers. Great ornament gift for granddaughters. HOLIDAY HOUSE is a lovely colonial house flanked by snow covered topiaries and cardinal birds. The potted Christmas trees across the bottom say welcome to the holidays.